Do you sometimes feel embarrassed by your own dog? 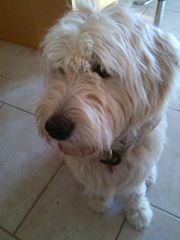 Does he pull on lead or jump all over people, dash out of the door or bark all day? Whether he chews up your shoes, soils the house or doesn't come when called, I’ll help you to teach your dog the rules of the house in a way he can understand. And you’ll soon have the companion you always wanted! Don’t worry – pet dog training isn’t about competing in obedience but to train your dog so you can live with him. It is all about practical solutions for you and your dog that make your life easier and more enjoyable. The earlier you start the easier it’ll be! Don’t wait until you’re at the end of your tether! 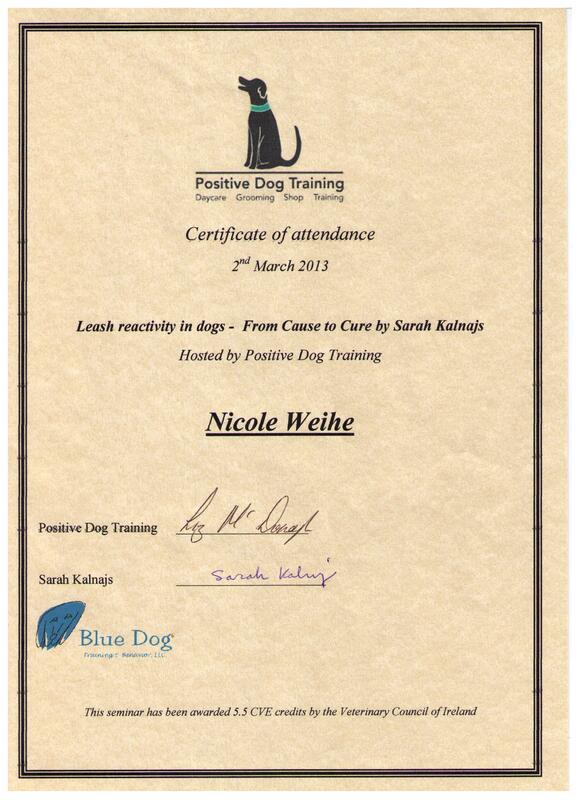 Book your personal dog trainer today and discover your dog’s true potential! 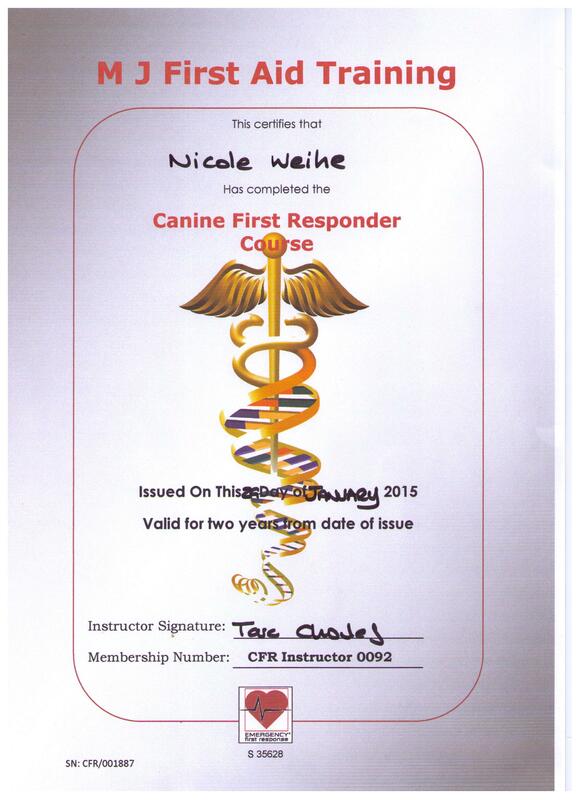 I hold relevant accredited qualifications in Canine Training and First Aid, and regularly attend continuing education events to ensure my knowledge is up to date. I can also draw on years of experience in handling all kinds of dogs. Which means you can be sure you and your dog are in safe hands. I’ll provide you with all the support you need to get you on the right track. I only use force free training techniques that are very effective yet easy to implement in your everyday life. Those methods are suitable for the whole family AND you don’t risk any adverse or even dangerous side effects. Early training can help you prevent many problem behaviours, thus save you lots of worries and money in the long run. Contact me today! 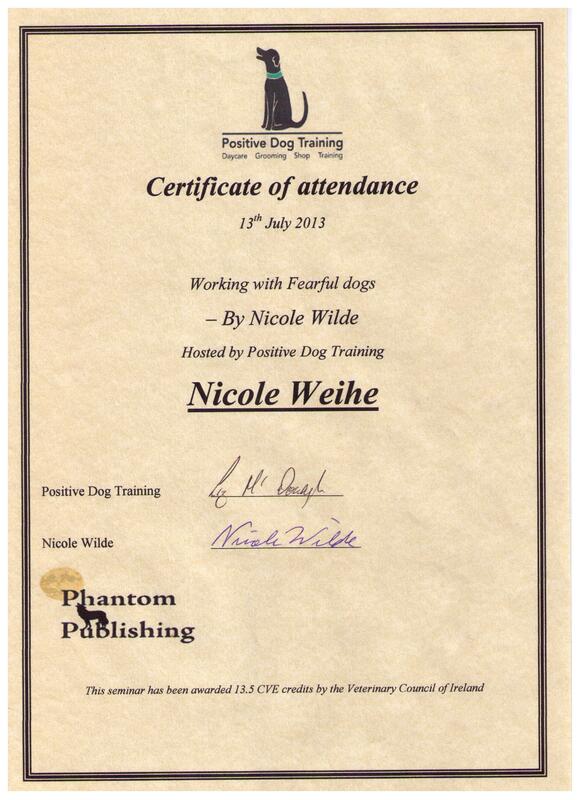 I am Nicole and I am the founder and owner of Pawsome Manners. 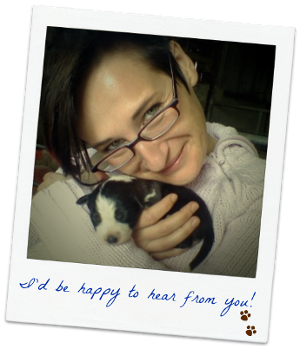 I am a native German and a very passionate dog lover - just like you! The reason I set up Pawsome Manners is to spare people like you the exhausting struggle that I went through after rescuing my first dog from a dog pound. I soon realised that love alone doesn't help to solve the problems arising from living under one roof with a different species. Although, my dearest wish was to make it work, I found it difficult to communicate the rules of the house to our new family addition. I resorted to training books that I found in local pet shops and spent a vast amount of time trawling the internet for dog training advice. This left me overwhelmed and even more confused and disoriented and the information didn't really help. After a session with a 'traditional' dog trainer I was completely devastated! The manner in which he told me to train my dog didn't comply at all with the way I wanted to live with my dog. I just didn't want that kind of confrontational relationship; what I wanted instead was to build a mutual trust and respect. Luckily, I then found a trainer who showed me how to get control over my dog while enjoying a relaxed and loving relationship with her. 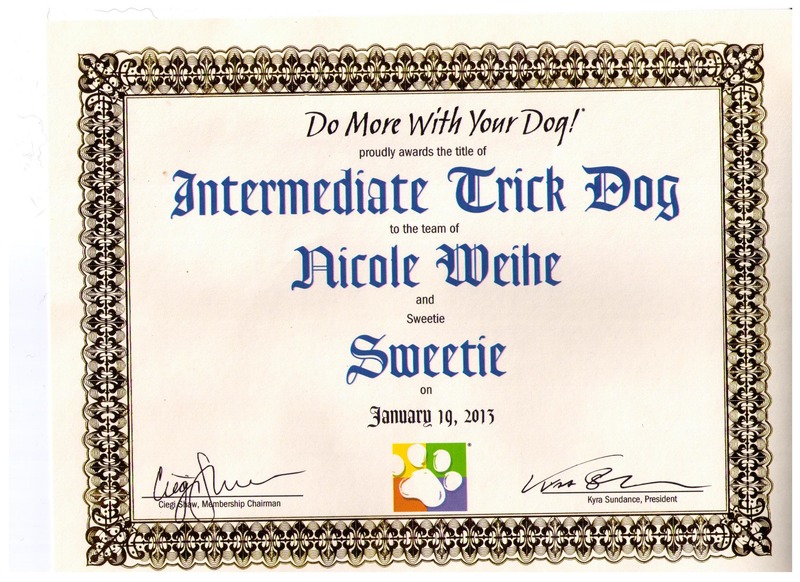 This trainer got me totally hooked on dog training and I then dedicated the following years to learning all about these fascinating animals. 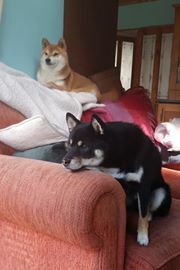 I now share my life with two rescued dogs who have been on death row in a dog pound. Our mutual journey has not always been easy but I'm grateful for what they've taught me and I'm still curious for more! 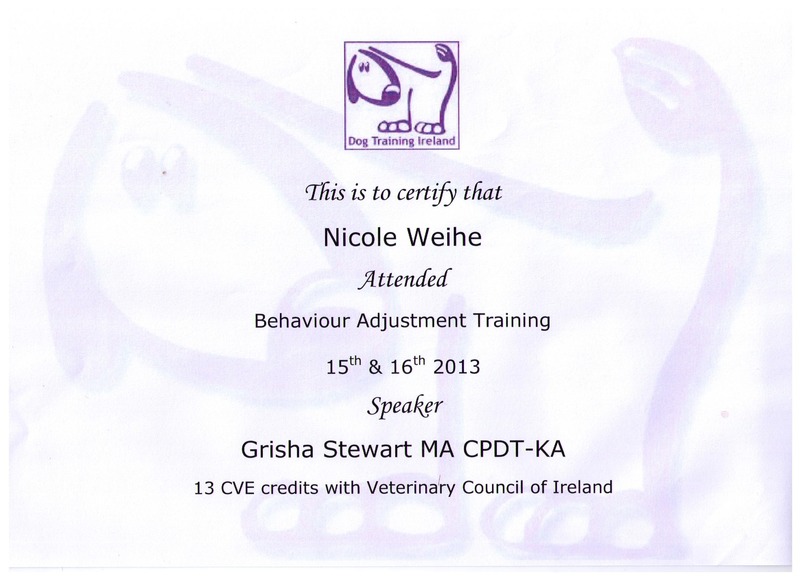 Canine Behaviour & Training Technicians will practice to promote welfare friendly interactions with all animals. 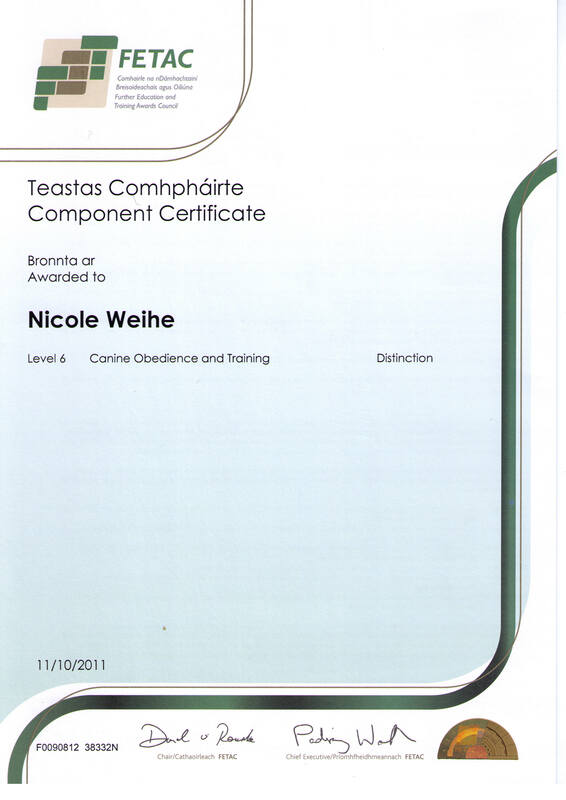 A qualified CBTT will provide services that nurture the human-canine relationship and promote professionalism, respect and knowledge within the canine training and behaviour industries. 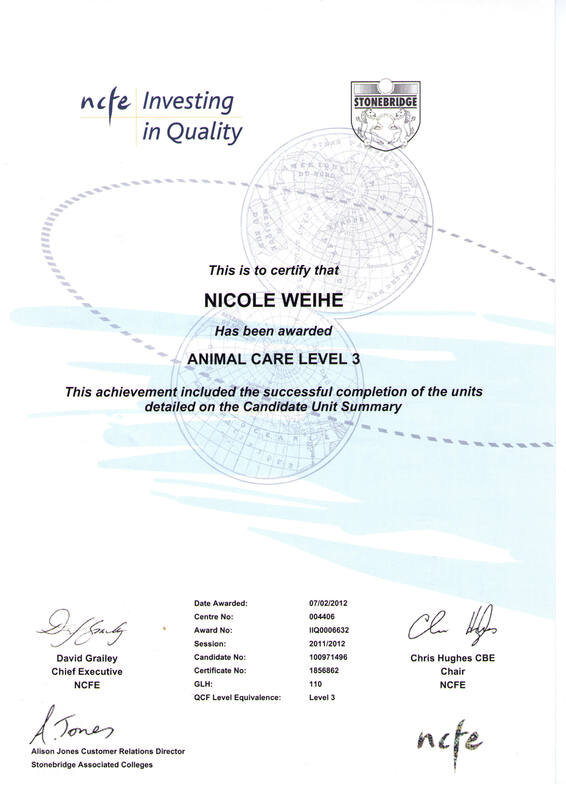 This means you and your dog are in safe hands. You won't be judged, lectured or pushed into anything you don't feel comfortable with but get efficient help that will make life for you and your dog much more enjoyable. And if I can't help you, I'll refer you on to other trustworthy and educated professionals. Here you'll find a list of issues that I can help you with and if you cannot find something on the list please do not hesitate to contact me and I will gladly answer any questions that you may have. I look forward to hearing from you! 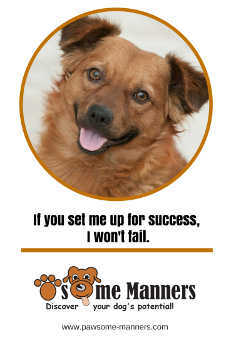 Pawsome Manners offers fully insured service! Living and Learning with Animals - Susan Friedman Ph.D.
Click here to view a full list of completed continuing education events up to date. 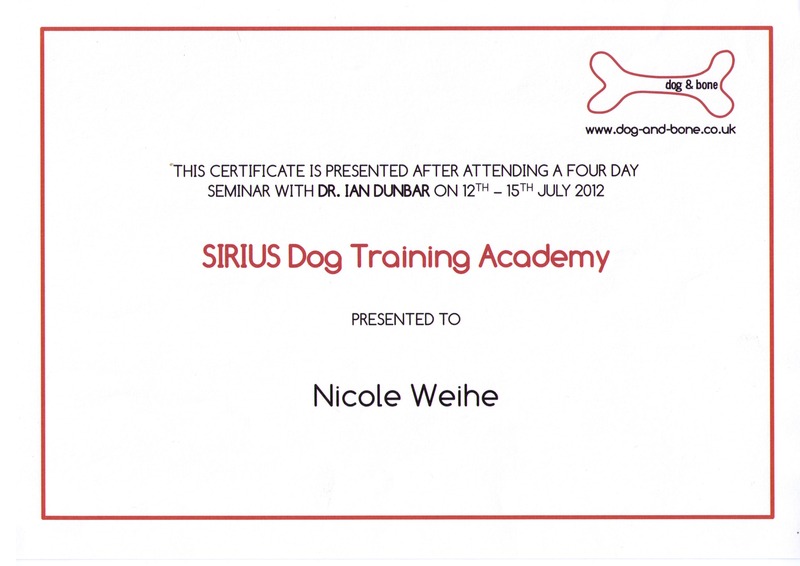 Committing to a fixed schedule dog training course does just not suit your lifestyle? 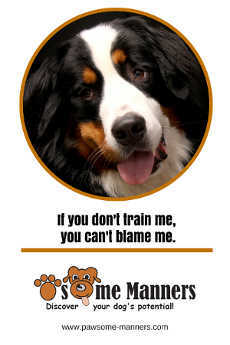 Then my tailor-made dog training service in your own home may be the right choice for you. Have you ever felt guilty for leaving your dog at home alone all day while you are at work? Your dog doesn't feel comfortable in a dog day care environment? Don’t worry! I have the perfect solution for you. Visit my dog blog to learn more about our furry companions. Here you'll find useful tips and free advice, My newest training book recommendations and fun facts about everything dog. The most important thing to us has been getting the basics right early on. Our primary goals were bite inhibition and toilet training, and with the guidance that was given we were able to resolve these within a matter of weeks of our first session. The practical examples in our own home made a big difference, it’s a lot easier to relate concepts etc when you are there. 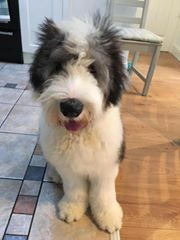 I think some of the most useful things were not just the specific training exercises, but also tips, for example on feeding (around making it interesting through use of a Kong, hiding food etc). Being able to have you come to our house and focus on specific issues, before we could even take Dash to a training class meant we were able to nip negative behaviors in the bud. Was lucky to find Nicole when looking for a dog sitter for my Roxy while I was going to be away. Can’t recommend her enough! Have never seen Roxy so relaxed after I’ve been away, she settled down immediately into her routine with me again from the first day back. Nicole was excellent with her, and the picture update mailed each day meant I was totally relaxed that everything was going well while away and I could fully enjoy the holiday. 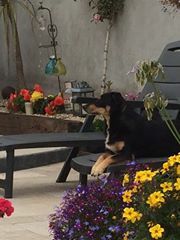 Will be very happy to have her look after Roxy next time I’m on hols, and it was an added bonus to have the house checked on, and the lights turned on/off as needed so the house didn’t look empty. Super service! Things have improved quite a bit between our two dogs and we have been able to use a number of your training tips with them both. All going ok with Winter. Your expertise helped but Winter still a bit bitey, so we’re all working hard on that. He is definitely improving and tries to redirect himself when we say no and walk away. He grabs a few toys instead of our arms. So we are getting there slowly…its really us that has to work hard and be consistent. The basic training and hand outs you gave us really helped, so I wouldn’t change that approach. I look through to remind myself often. 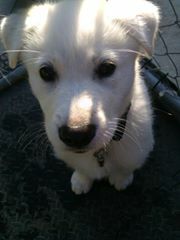 So a lot done more to do…Thanks for the follow up and giving us the confidence to begin with, with our new puppy. Your 3 second rule is genius as there’s been a total transformation in Daisy’s attitude towards me. She’s back to her old self and we’ve no issues with the harness. She’s such a relaxed dog now. Can’t thank you enough for your fantastic advice and will pass it on to my daughter and sister who have dogs. Our goldendoodle can be trusted not to leave our property, come back when she is called, sit when asked, stay when asked and generally is a joy to have in our lives.The best exercise was to constantly reinforce positive behaviour. No matter when our puppy came in to the house either with us or on her own, she got a treat and this really worked when we called her to come home. That was our main aim – we really wanted to ensure that she was safe and always came when called and this is happening and happened very fast after the training. Nicole was just super. She listened to us and geared the training to Gen and worked with her to show us how to get the best results in a very easy and positive way. I would just like to say that Nicole was super, the positive reinforcement worked a treat and our puppy is just perfect. Thanks a mil for all your help! The easiest way to get in touch with me is to send me an email using the contact form or message me on my Facebook Page. I'll get back to you as soon as possible - usually within 24 hours. To book a training session please click the button below. Sparky tried to teach his ball to stay. 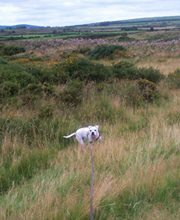 Frustratingly, the ball ignored him though and kept rolling down the hill. 😂 Life ain't easy! This website uses 3rd party cookies from Facebook and Youtube due to content from there. If you continue to use this site we will assume that you are ok with this. 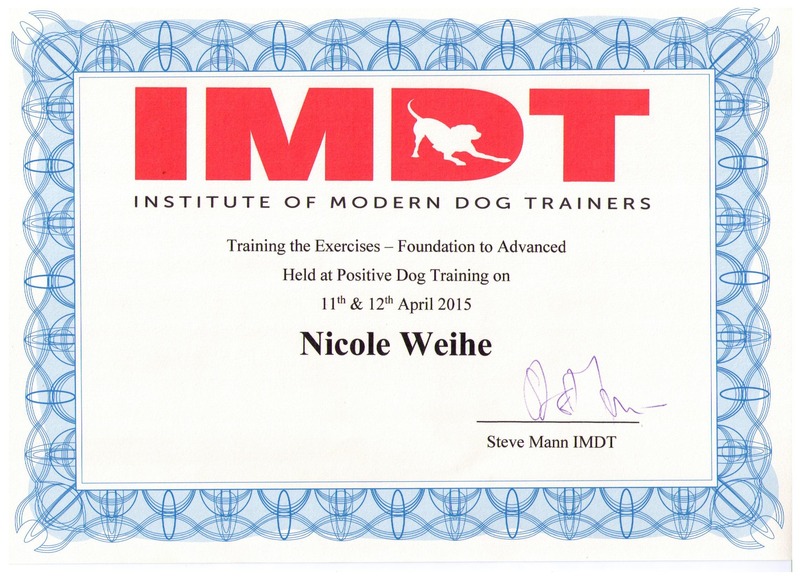 I understand and agree that by using the contact form and/or dog training sign-up form, my data will only be used for the purpose of the initial contact or the registration for the training. I agree that the data provided on the training sign-up form will only be kept for the purpose of the training and will not be distributed to any 3rd parties. I understand this website uses 3rd party cookies from Facebook and Youtube due to content from there. By continuing to use this website content I agree to the usage of Facebook and Youtube cookies.